Is this way of keeping ourselves fit sustainable in the culture where food is assumed powerful like a God? It is not, else we could have became a nation of healthy people rather than becoming the second largest community of diabetic people. Then what is a sustainable way of staying healthy in the era of fast food and bottle packed supplements? Well, keeping our local-regional food wisdom alive and sticking to it as much as we can. Last year I became part of 12 weeks fitness project conducted by Rujuta diwekar. She needs no introduction. As per Rujuta, fitness is uncomplicated, inexpensive and something that everyone should have access to. During the project, every week she gave people the guidelines that w ere supposed to get integrated into daily life. By the end of 12 weeks or 3 months, there were 12 different things or 12 things that people were doing differently that eventually lead them towards permanent fitness. Why I am advocating this fitness project because I was part of it and believe me I saw the results and changes in me that even surprised many of my known ones. Hence this year, I am going to make my whole family follow those guidelines that are very simple and very much feasible. 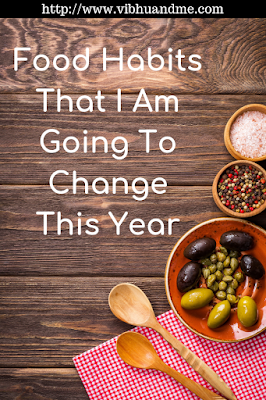 For this post, I am mentioning all food habits out of Rujuta's 12 fitness recommendation. Following these food guidelines is as easy as having our every day ghar ka khana. Only thing that is needed is sticking on them. 1. Start the day with a Banana or any fresh fruit OR soaked almonds OR soaked raisins and NOT with tea or coffee. Have chai or coffee 10-15 mins post this meal. What we eat first in the morning, decides so many things that is going to happen in our body. It sets the tone for hormonal harmony. Hence, it is advised not to start the day with chai or coffee. Have a glass of (only) plain water and then have banana/raisins/soaked almonds. Soaking almonds unlock the nutrients from it. 2. Have 1 tsp of ghee to breakfast, lunch, and dinner. Without fear, without guilt, without a doubt. Although I already add ghee in our dals and spread in our chapati, having it logically was an eye-opener for me. For example, having ghee in lunch controls sugar craving post lunch. Similarly having ghee in dinner cures indigestion and poor sleep. 3. Rethink, reform and regulate the use of gadgets in your life. When eating meals, no gadgets. We all are guilty of using gadgets beyond that line where the usage and the technology posture (when we use our phone/laptops) is bringing us muscular issues and protruding tummy. Watching TV or any other gadget while having food, make us neglect the signals that mind generates around hunger. So, either we overeat or under eat. This one guideline is the biggest target for me as my family is in habit of having dinner with TV on. 4. Eat a wholesome meal between 4-6 pm in the evening. Every other fitness post says to have a light dinner to lose weight. But how to make dinner light? Well, by eating something wholesome in the evening. Else we get so hungry that we eat so much in one go. Also when we don't eat anything in the evening or kill our appetite with chai or coffee, our body works at producing more stress hormone (cortisol) instead of reducing it in the evening. This causes poor sleep, indigestion and Insulin insensitivity. 5. Eat dal rice for dinner. Contrary to all other weight loss regime, Rujuta asked people to have dal-rice in dinner with a spoon of ghee added in it. First, it easy to digest and second it is sustainable for everyone. This does not mean we should eat only dal rice everyday. This meal is advised to people who feel bloated in the morning or get puffy eyes. Else when we have a wholesome meal between 4-6 pm in the evening, we don't feel much craving for eating a lot. 6. Go back to traditional drink and ditch sugary ready made juices and flavored milk. Traditional drink means Shikanji, Nariyal pani, Chaas (buttermilk), sugarcane juice and other sherbets that are traditional and regional. In summer, these natural drinks keep acidity in check, make us energetic and promote the growth of healthy bacteria and nurture intestinal mucosa. In winter, usually, this is a convention to avoid these drinks and switch to jaggery made items that can be taken with luke worm milk. 7. Bring back the iron kadhai and don’t microwave. Say bye to Teflon coated non-stick kadhais that have made us believe that glory lies in avoiding fat and going non-sticky. The iron kadhai is an important and undervalued source of iron in our diet. Also, let go of the aluminum vessels and foils too. Exposure to aluminum lowers the levels of zinc, an important mineral for our bodies, especially for brain health and preventing diabetes. Microwaving is again harmful to the micro-nutrients in the food and they get oxidized and become toxic for your body. 8. Believe in benefits of fat. That traditional tempering with kacchi ghaani oils like mustard for north India and coconut for the south is good for the food and for our overall health as well. Our native recipes are made in such a way that they are prepared using local food items and each of the recipes have a balanced use of fatty acids to make the best out of what we eat. Having these fats also keep blood sugars regulated and prevent skin aging and joint issues. Wish you a healthy happy year! 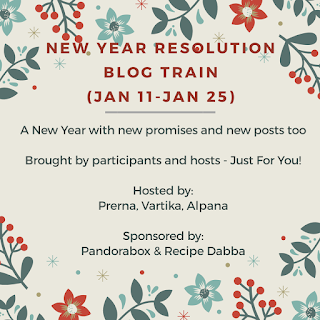 "This blog train is hosted by www.prernawahi.com, www.vartikasdiary.com and www.mothersgurukul.com, sponsored by Pandora's Box and Recipe Dabba"
PS: For these rules and reasoning behind them, I referred Rujuta Diwekar's 12 weeks fitness project 2018. All the best with your resolutions, Shipra. Wishing you a healthy, energetic and happy 2019! These are some great tips! I agree that our cuisines have been perfected for centuries based on the weather and the kind of work we did. Just following olden systems will add a lot of value to our meal. Great tips. I was hoping to see some benefits of spices here since I remembered your A2Z challenge theme. Thanks for the tips. Everything seems doable to me. wow lovely post Shipra, I loved all the points especially using of traditional kadhai instaed of microwave because nowadays use of microwave causes so many health problems and its wise to use traditional way. all the best for your list. What a super informative post, Shipra. I am happy that I follow almost all these pointers except for the gadgets one. Though we dont watch TV or use gadgets while eating but there is a lot of screen time for me as I write. I and my family start our day with fruits but not banana, I had an impression that it should not be eaten first thing in the morning. Thanks for clearing my doubt. 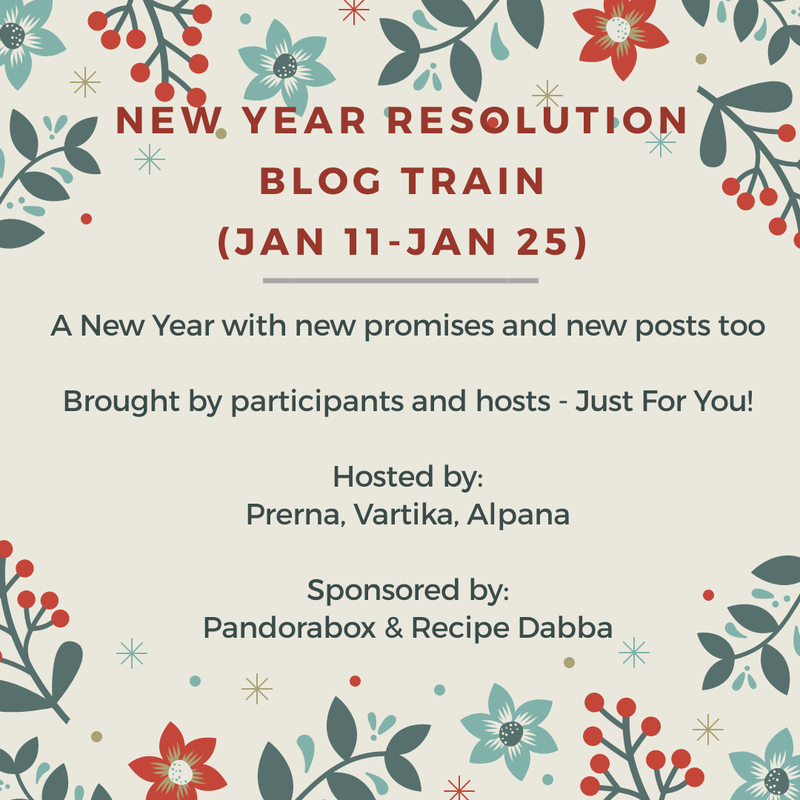 Nice to have you as a part of this blog train. Thanks for sharing Rujuta's tips... will try to follow them as they are somewhat different from my eating habits. I love the idea of adding ghee which helps to stop the craving.I will start doing it. Thanks for such wonderful tips. I heard about Rujuta Diwekar's 12 weeks challenge. Her guidelines are very basic and what I like the most is she encourages to go local. ghee benefits , I totally agree. I am a big fan of homemade ghee. Also not eating dinner in front of TV is something that we follow religiously at our place. Thanks for putting together this wonderful post for this blog train. This! yes this is one post that I am going to take a print of and stick it up my wall. 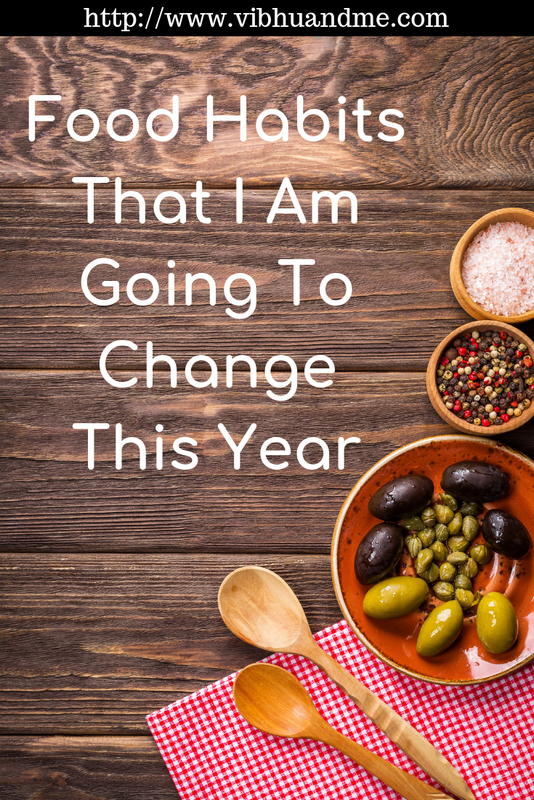 I have always believed in the goodness of fat (though moderation has never been my virtue;) )but these are some very unusual food habit changes that will go a long way in enhancing one's health. I was also a part of Rituja Diwarkar's 12 weeks program. She broke so many myths that time. Going local, homemade, plastic free. I love how you have incorporated in the blog train. the simpler the better is what i understood from your blog. thanks for summarizing it so well. Rethink, reform and regulate the gadgets in life is one 'mantra' that I am going to steal from your post to include in my lifestyle. All the 8points are pretty doable and easy on person. Thanks for sharing. Wishing you a healthy and fit year ahead. That's a list of amazing tips for a healthy living. I will try to follow most of them for sure. Thanks for sharing Rujuta's tips. These are very useful tips and I am going to incorporate them in my diet. Thanks for sharing them! Rujuta is a Goddess. I remember following her 12-week project which you're talking about, on Facebook. It was a treasure trove of old-school wisdom. Bringing back the iron skillet, for example. A compact list of useful tips that can make a huge difference. Thanks for sharing! I love Rijuta and her advices, although never read any of her book nor added any of her routine as such but I agree and follow these already in our day-to-day lives only for one thing and that is watching TV or mobiles while having meals :( I'm gonna change that soon, thanks for this eye-opener dear. Thanks for the wonderful tips! I love the post and noted down the points. I am glad they are do-able and that's why Rujutha is a hit! I love her tips and books!